Let’s face it, attacking opposing players in DomiNations and looting their resources as you carry out the raid is really enjoyable. However, there are several things you have to keep in mind before launching an attack. After all, you can’t expect to arbitrarily raid other players and hope to come away with a huge stash of booty. 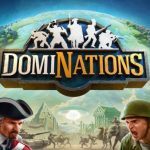 But that’s why we’ve come up with a list of DomiNations strategies and tips that specifically focus on how to attack your enemies effectively and efficiently as well. The very first thing you have to remember when creating a smart and sound attack plan is that there are two types of attacks. The first type would be medal attacks, where your objective would be to earn five stars in battle and rack up as many medals as you could. Then you’ve got your farming attacks, where you’ll be attacking mainly to get yourself as many resources as possible, without paying much attention to medals. If you’re just starting the game, farming attacks are better, as they’ll allow you to loot resources that you could make use of to upgrade your base. You can carry out medal attacks every now and then, but only when you’ve made sure that your base is up to speed. We’ll tell you why on the next tip. Why would you need to devote some attention to medal attacks when farming attacks so obviously help you upgrade your base? It’s simple – if you’ve got less medals, you’ve also got less chance of getting matched up with Pros. DomiNations’ matchmaking system is based on medal count, so that’s something to keep in mind. It’s always a great idea to destroy as many defensive structures as possible – in fact, you can go ahead and destroy all of them. 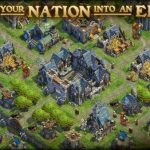 That way, you can get back a good number of troops, or get resources that will allow you to regroup and retrain your existing troops. Horse Raiders and Soldiers would be the most useful types of troops when you’re launching a farming attack. But if you’re launching a medal attack, you’ll want to have enough Horsemen, Wall Miners, and Ballistas. The moment the battle kicks off, make use of the rally command to have your men target a given building. The sooner you make use of this, the sooner you can use it again and target more buildings. Now, this may sound counterintuitive, as undefended areas are the obvious choice for many players to target. Instead, you should go for the areas that have the most defensive structures. Take those structures out, and once you’re done with that, you can experiment with battle strategies to your liking. Last, but not least, you should make sure to get your troops blessed before they go to battle. The Armor Blessing will be the first to be unlocked, and you’ll want to get that to improve your troops’ health instantly. When farming, Loot Blessings are obviously a lot of help, while Weapon Blessings are most useful in medal attacks. 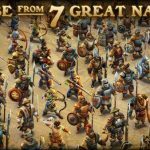 Now, that you’re familiar with the best attacking strategies, you may want to learn the most effective defensive strategies for DomiNations. We also recommend you to check out our comprehensive guide on how to user your generals and our tips on how to get three catapults in the game.